Happy Tuesday and time for this week's colourQ colours! Canadian Thanksgiving is over, so time to work on Halloween projects. 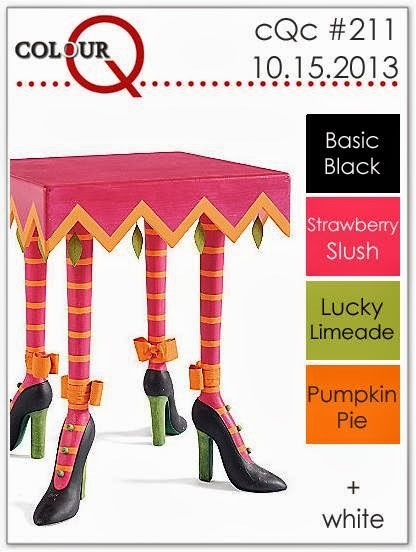 How fun would it be to have this table out for Halloween? How about a little witch's brew? 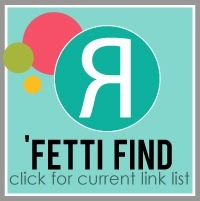 Since I used some fun Reverse Confetti stamps for my card, I am submitting it to this week's 'Fetti Find Link List. I am also submitting this to Simon Says Wednesday Challenge use a Rubber or Clear Stamp. Head over to the colourQ to see what the rest of the Design Team has for this week's colours! We really hope you play along with us. This TOTALLY ROCKS!!! I loveeeeeeeeeee the boots!!! Look at those shoes! Wicked good here! The sprinkle of sequins makes my heart happy!! 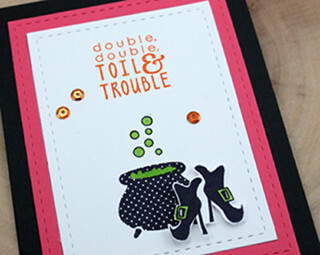 A polka dot cauldron and sassy boots...how FUN!!! Wow--cool shoes!! And your polka dot cauldron is adorable! You are a machine!!! So cute! So cool! I think I need those shoes! Super cool card Tracey. Love those witch boots! Fabulous and fun colors this week. Your cauldron and shoes are just perfect. A fabulous card Tracy, a great design and colours. I love your fun images are great sentiment!! so cute! love those witchy shoes!! I love this! I love the colors too. The table is cute, but I think I'd love to have those shoes as a Halloween decoration! How fun! Love the stitched mats, too. Great idea, Tracey, to use the sequins to extend the bubbles in your cauldron ... very cute!! oh...I have to have a pair of those shoes, just too cute! What a fun and festive Halloween card.